With 2015 quickly drawing to a close it’s the perfect time to start planning for the coming year. Whether you will be heading into a new school term or work quarter, or a fresh year of family and social commitments, keeping a dayplanner or diary is a great way to stay on top of tasks and commitments before they start to pile up. 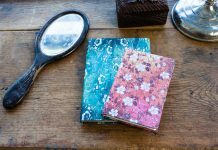 Every year we release a large selection of our bestselling Paperblanks® journal covers as dayplanners, meaning that choosing your 2016 agenda can become a highly personal endeavour. 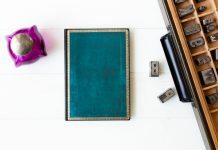 Choosing the right book for you is a bit like reading a “Choose Your Own Adventure” novel, as one selection can often lead to more options as you work on zeroing in on that perfect planner. To help you make this year’s pick we have highlighted some of the key details to take into consideration. 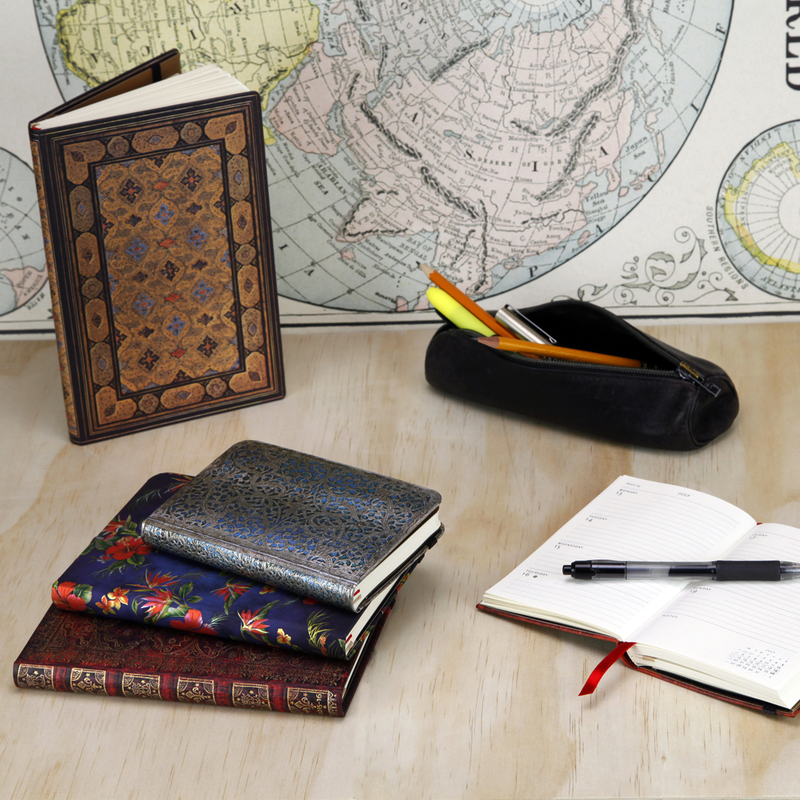 We are a proudly international company and do our best to offer our products in the languages spoken by Paperblanks® users. This means that you can sometimes find multiple language options when searching for a dayplanner or diary. If you live a multilingual country, like Switzerland, you may find German, French and English options available to you! The interiors and formats available in each language vary (based on customer feedback), so before committing to a cover design, make sure to double-check that the interior language is the right one for you. And should you find that the cover you like best is not available in your region, please let us know and we will make a note for future dayplanner editions! Because not everybody’s yearly schedule is best organised from January–December, we offer both 12-Month and 18-Month (July–December) timespans. For our French markets only there is also a 13-Month edition. We offer a Day-at-a-Time, Vertical (Week-at-a-Time), Horizontal (Week-at-a-Time) and, in select markets, Verso (Week-at-a-Time) interior layout for most of our dayplanners. If you need to see your whole work week at a glance and to schedule your appointments down to the half hour, then the Vertical interior may be the best option for you. But, if you prefer to plan in more detail, or to use your diary retrospectively to record the day’s events, Day-at-a-Time or Horizontal may be the way to go. 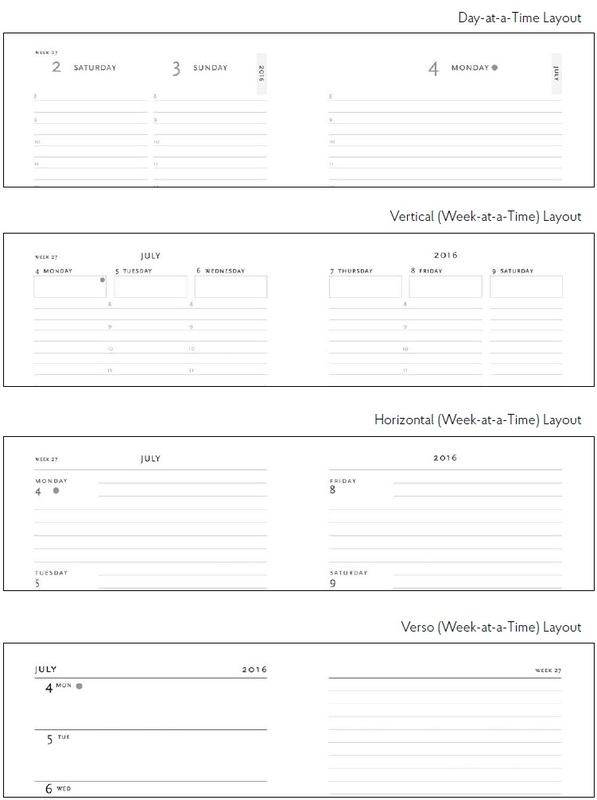 And, for those of us who crave extra organisation, a desktop Grande Week-at-a-Time can be complemented by a more portable Mini Day-at-a-Time planner. 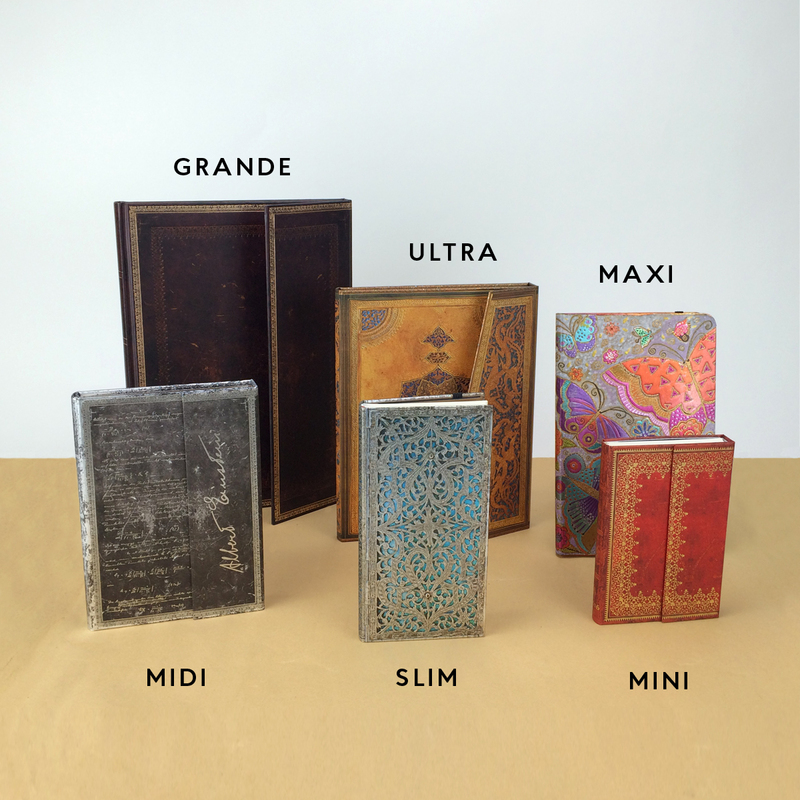 We offer our dayplanners in every Paperblanks® format, with the exception of Micro. From Mini to Grande, each dayplanner includes two satin ribbon markers and our patented memento pouch. The majority of our planners offer 160 pages with an approximate gsm of 80. The exceptions are our 18-Month formats with 208 pages, and our Day-at-a-Time interiors with 368 pages at 100gsm. Because dayplanners tend to get a lot of use, we have crafted them with only the sturdiest of closures, and those that allow for expansion. Depending on what best complements the cover design, our planners come with either a magnetic wrap, strap or elastic band closure. And now for the fun part – choosing your cover! Whether you want something elegant to match your mahogany desk or vibrant for your joyful personality, there is a cover for you. As with our interior offerings, the designs we choose are based directly on customer feedback! We begin planning for our upcoming “dayplanner season” well in advance, so that means our newest journal titles may not be available in a diary format right away. So be sure to let us know on Facebook, Twitter, in the blog comments or at facebook@hartleyandmarks.com if there is a design you would like to have on your next agenda! Of course, there is no right or wrong way to choose – the most important part is that you end up with a dayplanner that not only keeps you organised, but brings you joy each time you use it! I’m buying paperblanks planners for several years now and I couldn’t get along without them! I always choose a Midi Size. When I was still at University I had a day-at-a-time planner. Now, that I am working I need to have a glance at the whole week. This year I had the verso layout and for the next year I already bought a planner with a horizontal week-at-a-time layout. Can’t wait to finally use it, it’s sitting on my bookshelf for severyl weeks now! Thank you for sharing your story with us. It’s always wonderful to hear how people use our Dayplanners and we are so touched to hear how eagerly you are awaiting the change to use your new one! I like ALL the Paperblanks diaries and journals and I have a few already. I have seen the Micro size week-at-a-time format and I will be getting one for 2016. Although, it would be really nice to see more of the cover styles in the Micro size, for example Aubergine, Florescence, Carmine, Glowing Rose, Gold Inlay…among a host of many others!!! 😀 Maybe in a day-at-a-time format in the Micro size too? I find the Micro size to be handy for writing short thoughts down on a single day, (which can then be transferred in detail to my Midi later).If any of these Day-at-a-time micros were to be out…..well. i better start saving now!!! Haha!!! Because several of those would DEFINITELY be on my list. 🙂 Is it something that could be possible? Thanks for writing! Although… you may need to start saving now. We do have Micro formats for our 2016 Dayplanners, but as of 2017 we will no longer be offering them. The good news is that we do still offer some of our journals in the Micro size, so perhaps some of those could be good note-taking alternatives? We have passed along your comments to our product design team, though! I love your products and think they are absolutely beautiful as art pieces and statements as well. 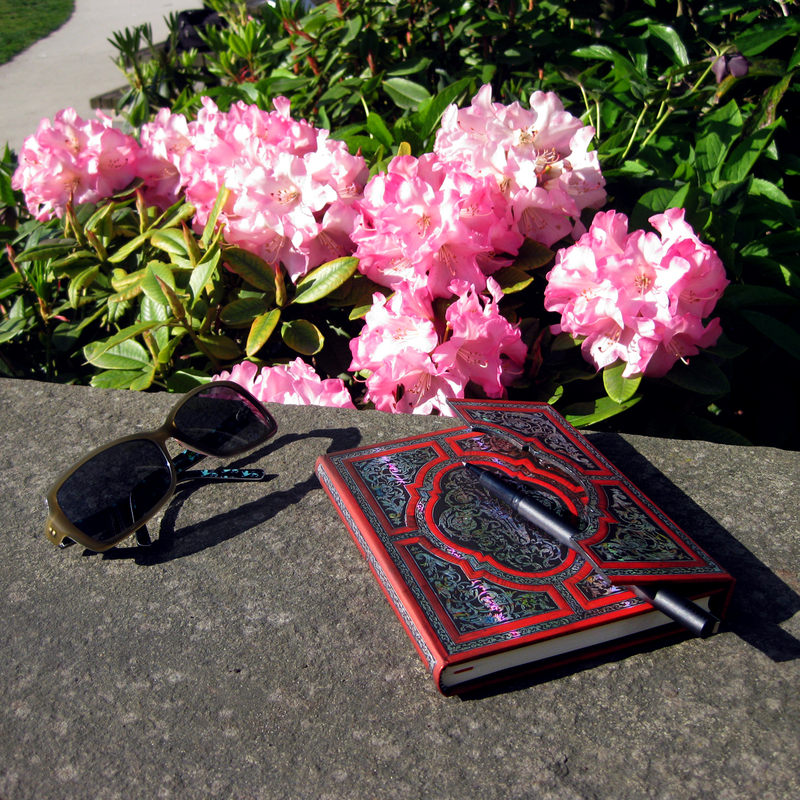 Would you ever consider making ‘sets’ where one could by the planner, address book and journal all in the same design? Also, would you ever consider selling the products right from your website? 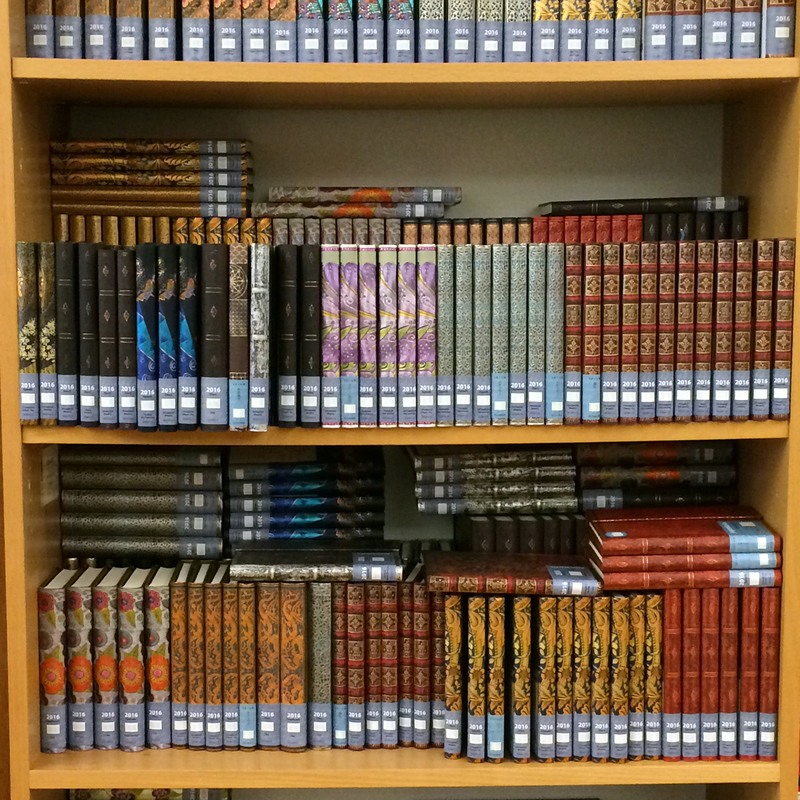 It is difficult to find some of the dayplanners…sometimes the stores don’t restock their products. Greetings from Vancouver! Making “sets” of one cover in different formats is a great idea. We have forwarded it to our product design team! As for selling online – it is something we are working toward but we aren’t there yet. 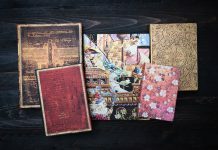 For our North American customers, though, we have partnered with lovenotebooks.com to offer our entire collection online. The Verso format is my favorite layout but this year, Paperblanks didn’t seem to offer it in very many, if any sizes. I love your planners, the paper quality is excellent and the books withstand a year’s worth of use with very little wear and tear so I was really hoping to get another Verso version. The cream color of the paper and the typography is unobtrusive and well done as well. Maybe next year, I’ll try one of the other formats and see if I can make it work for me. But a Slim Verso would be a great purse carry! Thanks so much for the great work! Thank you for your feedback – it is always helpful to hear what people enjoy about our products, and also to learn what we can improve upon. Because our Dayplanner availability differs by region, would you mind letting us know in what country you live? That will help us to know where the demand is for Versos. If you would prefer to send an email (facebook@hartleyandmarks.com) with this information (rather than leaving in the public comments), that would greatly appreciated!